It's very warm lately, let's ‘Beat the Heat’ @ COWAY Run 2018. Held for the second year, COWAY Run 2018 comeback to be held on 7 October 2018 at MAEPS, Serdang; where once again the race towards a healthy and pure lifestyle is placed on the pedestal with a ‘cool’ theme and a charity element! 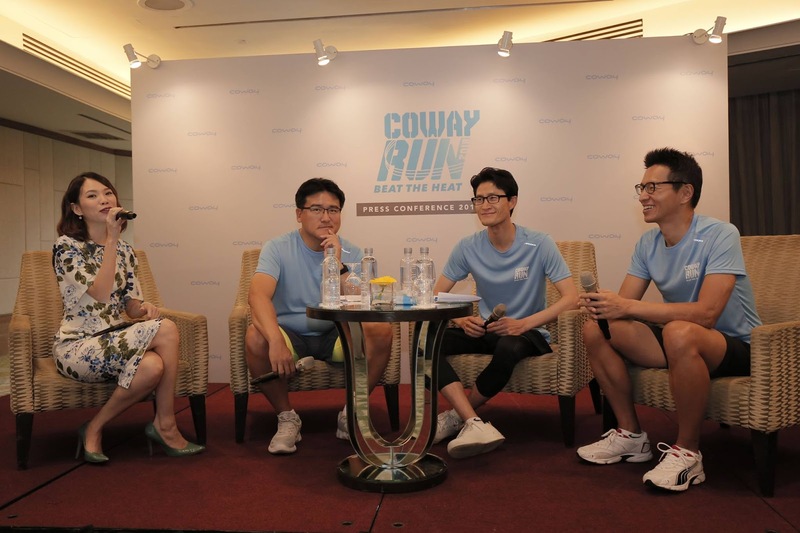 For the first time, COWAY Run 2018 adopts a theme “Beat the Heat” - where a “cooling” run course is designed to allow sprinters to run comfortably and as coolly as possible. 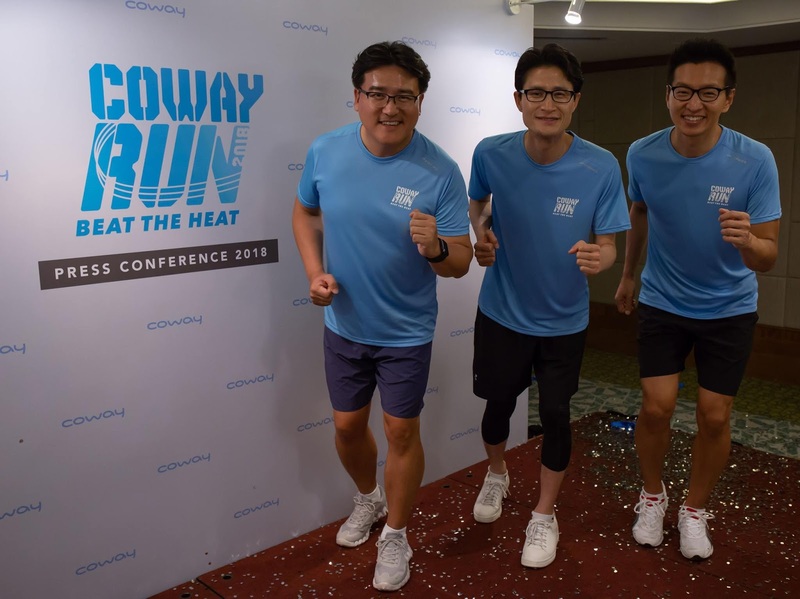 (L-R) Mr Kyle Choi Ki Ryong, Managing Director of Coway Malaysia; Mr James Park, Guest of Honour & Director of Global Business Division, Coway Korea HQ; and Mr Ryan Jung Tae Seung Marketing Director of Coway Malaysia. Designed to keep runners cooling throughout the race, the route is set up with water sprinklers, mist tunnels and wind tunnels that would add an element of surprise for the runners. Furthermore, COWAY Run 2018 will also be channelling proceeds from the run to support its annual CSR initiative, the Happy Water Project – where indigenous communities are supplied with clean and pure water. Since the very beginning, the nation’s leading water specialist is dedicated to promote good health for consumers by providing clean and safer water, reminding them of the importance of staying hydrated. With host, Ms. Choo Mei Sze, Mr Kyle Choi Ki Ryong (Managing Director of Coway Malaysia), Mr James Park (Guest of Honour & Director of Global Business Division, Coway Korea HQ), and Mr Ryan Jung Tae Seung (Marketing Director of Coway Malaysia), sharing on what COWAY Run 2018 holds for participants this year. Mr. Kyle shared that many among our midst still do not have access to clean and pure water, and this issue is often taken for granted. With proceeds channelled towards the Happy Water Project, Coway is committed to help the less fortunate by providing rainwater supply devices especially in rural areas. “At Coway, we believe everyone deserves the best without exemption; we recognised COWAY Run 2018 as an apt platform to raise awareness towards this issue among our community. As such, we pledge to donate RM10 from every ticket purchased to the cause of the Happy Water Project,” said Mr Kyle. 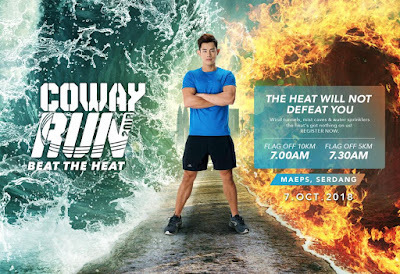 Famous Malaysian fitness model, Jordon Yeoh joins again this year to run alongside participants while he cheers and motivates them as they take every step towards the finishing line - breaking the stereotype that one does not have to be a professional athlete in order to participate in a race. Mr Ryan Jung Tae Seung (Marketing Director of Coway Malaysia) demonstrating the use of the Coway Water Filter Pouch. All COWAY Run 2018 participants will receive the Coway Filter Pouch in their race packs this year as well. Participants with children will also enjoy an exciting children’s obstacle course where children can have their own time of fun while their parents or guardians were running at the race. Additionally, Coway aims to bring a taste of Korea to the grounds with a Korean Village setup equipped with food trucks, photo props and a live band to entertain the crowd. “This year’s run will no doubt be bigger and better than before - bringing friends and families together on this special occasion and making a change to live pure and to take a step forward in leading an active lifestyle,“ said Mr Kyle. 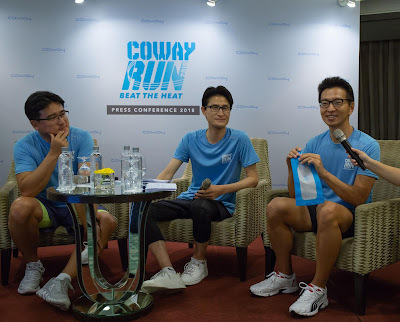 For more information on COWAY Run 2018, or for warm-up guides and running tips, log on to Coway's official microsite at http://cowayrun.com.my/.